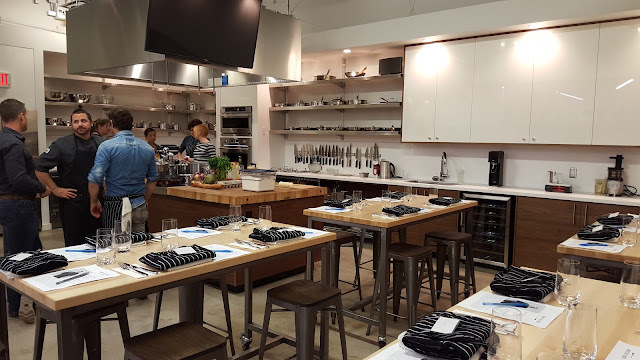 The newest Cook Culture store in Lonsdale, North Vancouver has a full kitchen and teaching space for holding cooking classes. 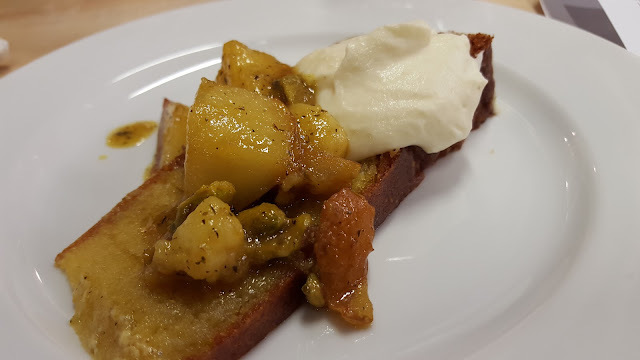 I was fortunate enough to win a spot at the Autumn Harvest class on November 23rd, thanks to Cook Culture and Helijet. Two local chefs were teaching the class - Chef Peter Zambri of Zambris Restaurant in Victoria, and Chef Jonathan Chovancek, co-founder of Vancouver's Bittered Sling Bitters, and was most recently the Executive Chef for Café Medina. 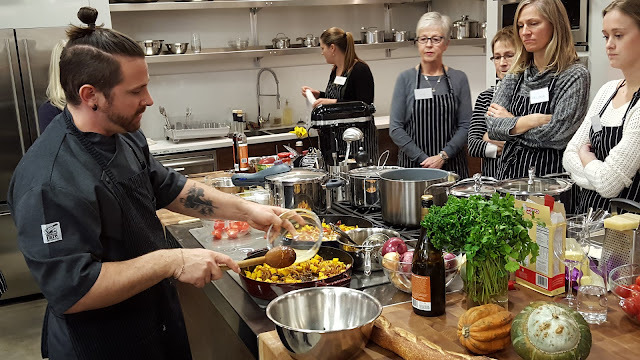 The Autumn Harvest class is more of a demostration class than a hands-on (Cookworks offers both types of classes), but some of us had the chance to make some of the food. 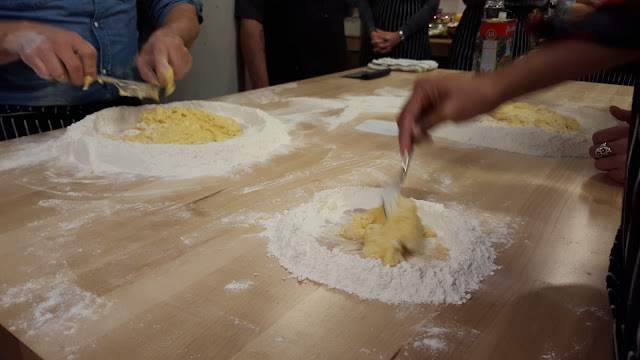 Chef Peter Zambri showed us how to prepare fresh pasta dough first because the pasta dough needs to rest after you make it. 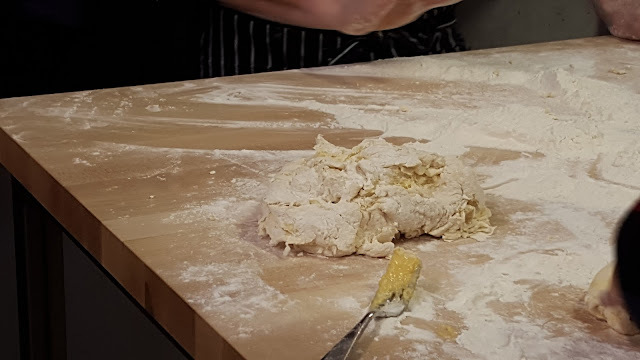 It's so easy to make pasta dough! 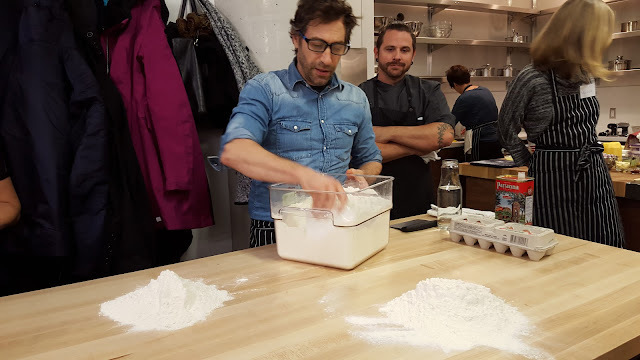 You just need '00' flour, egg, olive oil and water. We let the dough sit covered under a bowl while we continued on with the rest of the lesson. Chef Jonathan Chovancek started showing us how to make sea buckthorn cornmeal cake. 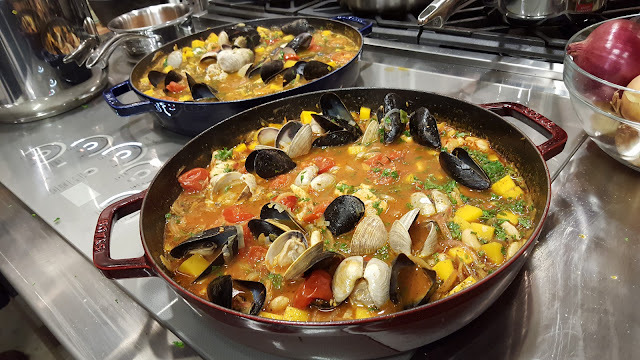 He says you sometimes need to cook out of order otherwise your dinner guests will never get to eat. The best part of the cooking class - eating the dishes. 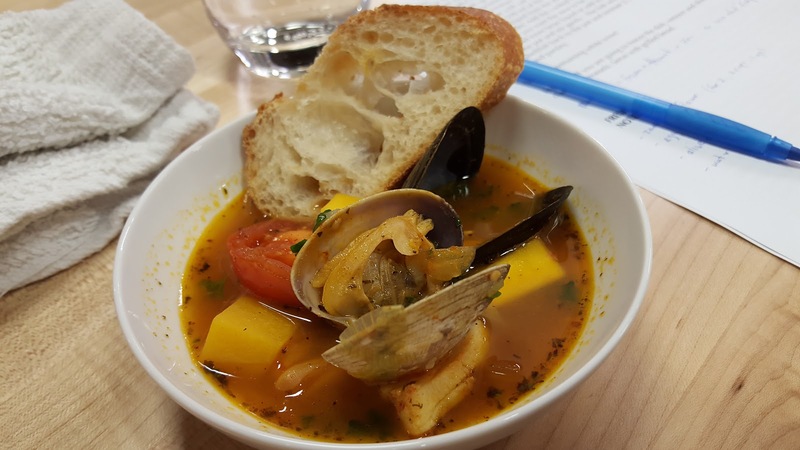 This is an awesome tasting soup! 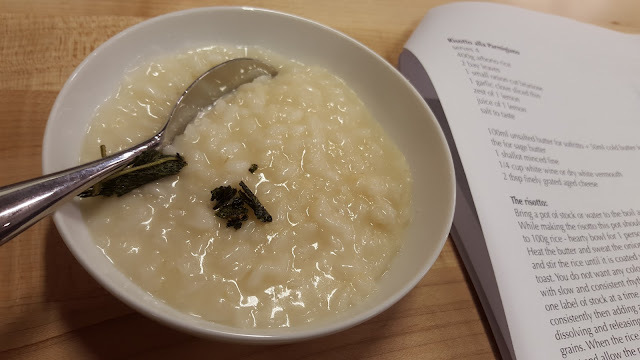 Chef Peter made Risotto alla Parmigiano for us, Sooo good. Making fettuccine with the pasta machine with our dough. 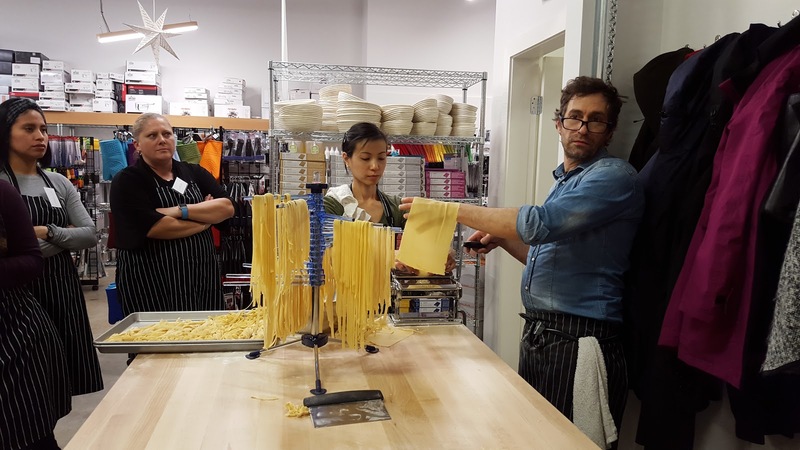 Fresh pasta does take time to make but the end result is worth it. This AMAZINGLY DELICIOUS. I was blown away. 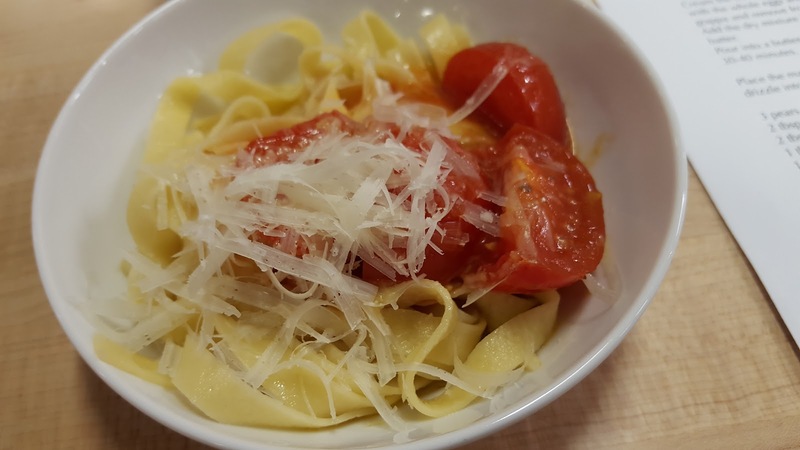 The sauce was made with tomato paste, fresh tomatoes, olive oil and anchovies! 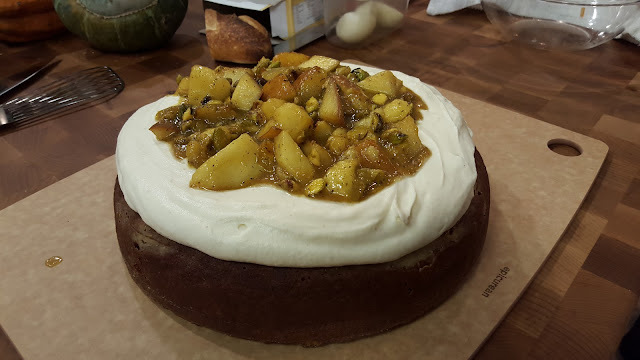 Meanwhile, the cake was done and we topped it with brown butter mascarpone, pistachio & honey roasted pears. The cooking class was educational and fun. 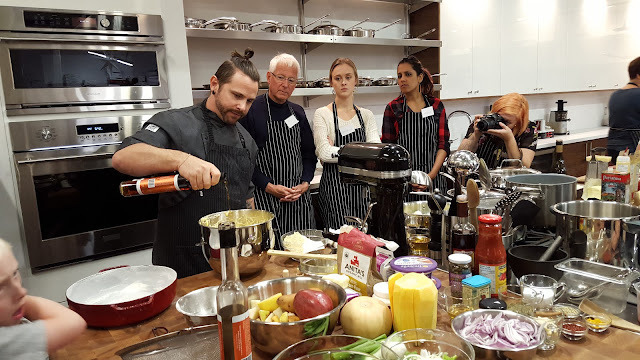 The two amazing chefs really know their stuff! I had a great time, though I might have to eat a snack before class next time. Haha. I'd love to take another class! 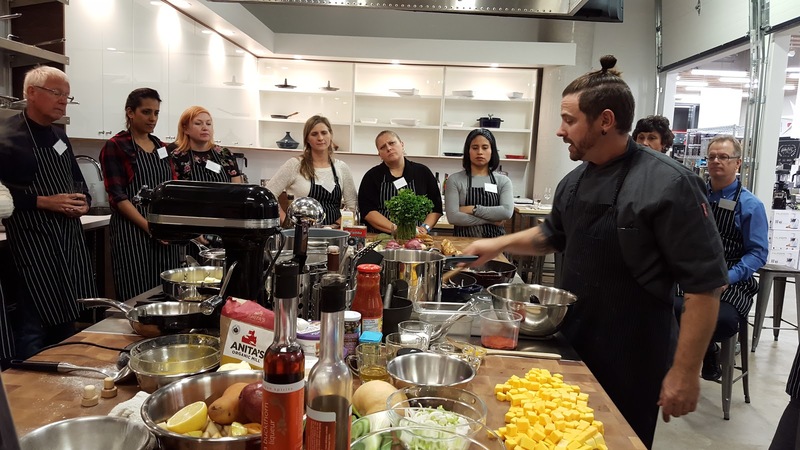 Cook Culture is holding open houses in all their stores this Saturday to celebrate the re-brand of the Cookworks stores and also the opening of the Lonsdale location. There will be deals, demos, giveaways, and food! 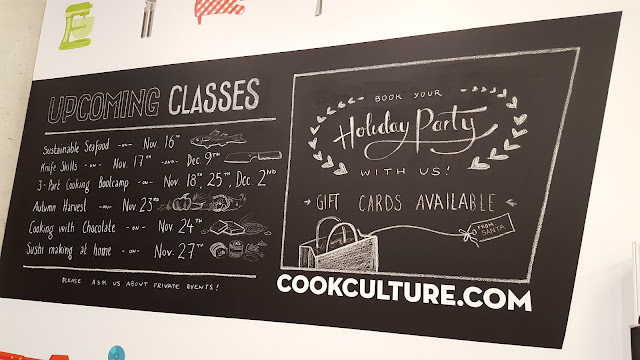 Find out more on their website: http://cookculture.com/pages/open-house. Disclosure: I won a ticket to the class on Facebook and was not expected to make a post. All opinions are my own.